Kylie Jenner blasts Chris Brown for sharing transphobic meme of Caitlyn Jenner on Instagram. 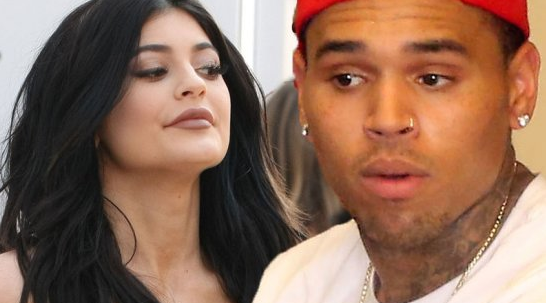 Kylie Jenner is defending Caitlyn Jenner from mean commenters — including pal Chris Brown. The 17-year-old took to social media to respond to the negativity directed at Jenner in the wake of her Vanity Fair cover reveal on Monday. The meme, which was also shared by Snoop Dogg and briefly by Cleveland Cavaliers’ star J.R. Smith, expresses frustration that Akon’s humanitarian efforts in Africa were overshadowed by the 65-year-old’s big news. Kylie also tweeted a message of positivity to her fans that seemed to be in reference to the widely-shared meme. “State what you want about the world without bashing others. Leave a positive impact,” Kylie wrote Friday. Brown and Kylie have been friends for some time, especially since Kylie is dating the R&B star’s pal Tyga. Brown was spotted giving her a hug the day before their social media rift on the video set for Brown and Tyga’s collaboration "Do It Again." Chris didn't post NO LIES! Akon was overshadowed for Science Project.